The Weekly Shonen Jump officially announced today, October 6, 2014 that hit Japanese manga series Naruto is finally coming to its end after 15 years in serialization on November this year. 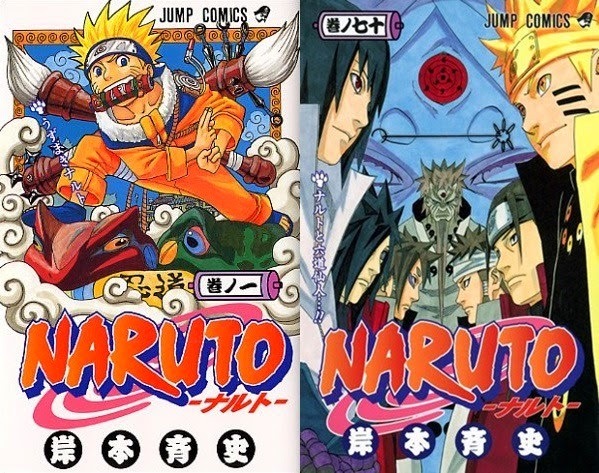 Naruto was first published in 1999 in the 43rd issue of Japan's Weekly Shonen Jump magazine and will end on November 10, 2014 in the 50th issue of Jump. It has been published in over 70 volumes so far with the 71st due to hit on November 4. Aside from the conclusion of Naruto, the premiere of "The Last -Naruto the Movie-" on December 6 was also announced. Naruto manga tells the story of Naruto Uzumaki, an adolescent ninja who constantly searches for recognition and dreams to become the Hokage, the ninja in his village who is acknowledged as the leader and the strongest of all. The manga was adapted into a television anime and premiered across Japan on the terrestrial TV Tokyo and other TX Network stations on October 3, 2002. In addition to the anime series, movies, original video animations (OVAs), light novels, video games and trading cards were also developed. In the Philippines, ABS-CBN is the first TV network outside Japan to broadcast Naruto: Shippuden; it aired the first 40 episodes of Naruto: Shippuden, running the show through March 19, 2008.